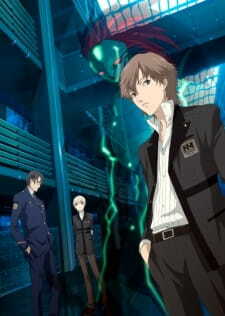 If you have played any of the Persona games then don't watch this anime. If you haven't, then you might enjoy this anime to an extent. By no means is the anime related to the games and people have have played the games will find the anime disappointing. As I mentioned in the blurb above, if you have played any of the Persona games then you fill definitely find this anime boring and disappointing. I personally have not played the Persona games so I fared better in enjoying the anime. I have read many review online from people who have played the game and they all agreed to one thing; that the anime has so much less action and mostly all dialogue from start to finish- which is true for most episodes. The story is rather confusing to begin with and it was still confusing in the end. I pretty much made no sense of the ending so I was utterly disappointed. Let me "try" to summarise the story in a few sentences. So the story is set in Ayanagi City where there have been many cases of missing and dead people. The circumstances involving these cases are quite strange indeed; people missing from boats in the middle of the sea and inside-out corpse. All these strange incidents were caused by "Personas"; which are basically a "soul" form of a human. These forms look quite like mechs and they also battle it out quite aggressively. Somehow, all that is happening in the present was triggered by a huge event 10 years earlier due to some research in the human mind and such. It is all quite technical and confusing. Most conversations you will probably have no idea what they are talking about. One thing that is majorly confusing are the "whale feathers" and the girl in the red dress. What are these "whale feathers" and why does this girl keep popping up randomly. Nothing gets answered and I am still confused even after watching the ending. The art was actually quite well done. The characters all looked nice and had good detail and expressions on them. The rare fight scenes was invigorating and quite spectacular. There were plenty of special effects to keep you entertained. If you cannot follow the story or you are completely lost then just focus on the visuals. Voice acting was perfect and suited the characters really well. It look some time to get used to Jun's voice acting because he had a female voice actor. Towards the end, I finally found out why that was so. Not to spoil anyone watching this anime, I won't say anything. Other characters were well presentation of their respective personalties from the tones of their voices to their social interactions. Theme songs were also catchy and enjoyable to listen to. There were some connections I had to the characters even if I did not understood them fully. There were plenty of characters throughout the anime and most of them do not even get a proper introduction. They just simply "appear" in the anime, do a few things, and just disappear afterwards. For the main characters, there are plenty of character development and soul-searching moments which I glad the anime did reveal. As for everyone else (including the girl in the red dress), I have no idea who they actually were and where they came from. Don't try to bother learning each and every character, it will make you even more confused than before. Overall, it was an enjoyable yet totally confusing anime. The story sometimes did not continue where it had left off previously which was pretty annoying as most episodes ended with a climax. The characters and their Personas did not get a proper explanation and there is just too much sci-fi lingo that doesn't even make sense. If you can overlook at overall story and just try to grasp the situation, then you may enjoy the anime for its pretty cool action and stunning visual affects. To be honest though, it is pretty hard to explain or recommend this anime to anyone who isn't a Persona fan. I certainly wasn't and I got hopelessly lost. I got lost. End of story. No really, the story was not messy- it just lacked a lot of clear answers. For a sci-fi anime, the art detail and battle animations were really good. The characters also looked nice and detailed. Theme songs were rather catchy and voice acting was perfect. Nothing to really complain here. Too many random characters that I felt did not have a relation to the story or to each other. Little character development ruined the story. I only watched the rest of the episodes because nearly episode had a climatic ending which did not pick up where it left off in the next episode. I had mixed feelings overall. There were plenty of "huh", "what", and "that was random" moments throughout the anime. Was it as bad as Chaos;Head? Probably not. At least this one had a proper story even though it left out a lot of information.